What Good is a Commercial Roof Warranty? Roof warranties provide documented evidence of quality and expected future performance. Manufacturers and contractors offer warranties to project confidence and provide peace of mind to their customers. Commercial roof warranties reassure building owners that they won’t be financially burdened should some damage, malfunction, or other warranty covered issues arise. A Brief History of Roof Warranties: Where Do They Come From? Prior to the 1970s, the overwhelming majority of commercial buildings had tar-and-gravel built-up roofs. They didn’t come with modern roof warranties, but instead were backed by bonds, which were much more limited. 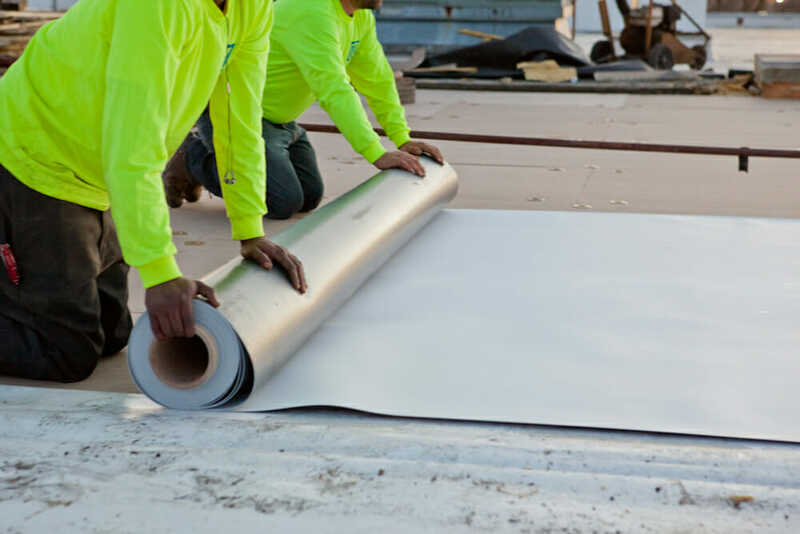 In the 1960s, manufacturers like Carlisle Companies Inc. (known today as Carlisle Construction Materials) unsuccessfully attempted to introduce single-ply membrane roofing systems, which are now the industry norm. Businesses largely rejected the new and unfamiliar material. But that all changed about a decade later due to the oil embargo in the early 1970s. Almost immediately, the petroleum-related materials needed to make built-up roofs became scarce and expensive , and the quality of tar-and-gravel roofs plummeted. The ethylene propylene diene monomer (EPDM) rubber membrane roofs that Carlisle had been touting quickly became a hot commodity. The problem, however, was that EPDM was radical, new and unproven. Single-ply membrane roof systems had no performance history to make building owners feel confident that they would last. Carlisle assured skeptics by guaranteeing quality and future performance with a documented promise that their revolutionary new roof systems were worth the investment and could withstand the test of time. The modern roofing warranty was born. Most roof warranties started as 10-year warranties and, as membrane roofs became more common and trusted through the 1980s, extended to 15 years, and then finally to today’s standard 20-year warranty. Insurance Policies: Building owners should first consider their insurance policies. For example, warranties do not cover “acts of God,” like hurricanes, lightning strikes or tornadoes. If a building is located in a hurricane-prone region, it’s likely that the warranty will not cover damages caused by a major storm; the owner will probably have to file an insurance claim. Exclusions: Owners and managers should carefully review the warranty’s exclusions. For example, roofs are rated for wind speed. If a warranty protects roofs in winds up to 74 mph, any damage incurred in wind speeds greater than 74 mph would not be covered. Issuers: Not all warranties are created equal. A warranty can come from either the manufacturer, which covers the building materials, or the contractor, which covers the installation of those materials. Maintenance: Manufacturers can void warranty claims if the roof is not properly and regularly maintained, so owners and managers have to consider how diligently they plan to inspect and maintain their roofs before deciding on a warranty. There is a common misconception that a warranty is an indicator of lifetime expectancy. It is not. Warranties help to protect buyers against faulty materials, issues with installation and some types of damage; they relieve some of the risk that owners and managers take on with such a costly purchase. Warranties are never, however, a substitute for quality workmanship performed by a diligent, experienced, reputable contractor who uses only the highest quality materials.